Mind Resort Pattaya is located right in the heart of South Pattaya. It is just a few steps away from food centre, night bazaar, Pattaya walking street, renown international spa, and only a 5-minutes drive to Pattaya beach sides and famous tourist attractions. It is true as true can be that Mind Resort Pattaya is an ideal hotel both for businessmen, executives, as well as for holiday-goers. Mind Resort is a boutique hotel Pattaya that’s developed and designed with “a touch from our heart” from every details in guest rooms, guest facilities and amenities, to a lush tropical garden inside and at the hotel surrounding. All rooms are tastefully designed and furnished, and most are provided with private balcony overlooking swimming pool. Yet, there are ample facilities to suit every need from high-tech to high-touch all day long. For your next visit to Pattaya, make Mind Resort as your place of stay be it for a few days or for a long-staying. Here you can find comfort, convenience, attentive services, and a kind of ambience that worth your stay at our hotel. 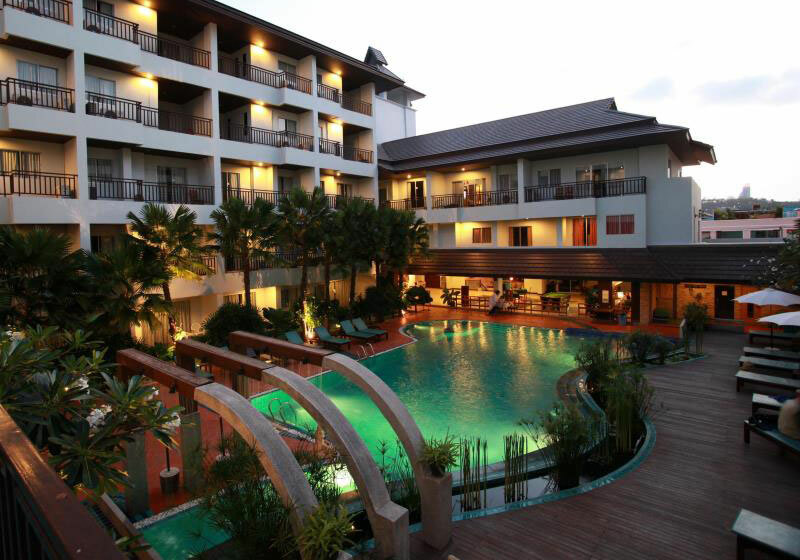 Short Description: Mind Resort Pattaya is located right in the heart of South Pattaya. It is just a few steps away from food centre, night bazaar, Pattaya walking street, renown international spa, and only a 5-minutes drive to Pattaya beach sides and famous tourist attractions.